For all the artist I am, there are certain things that surely doesn’t interest me. 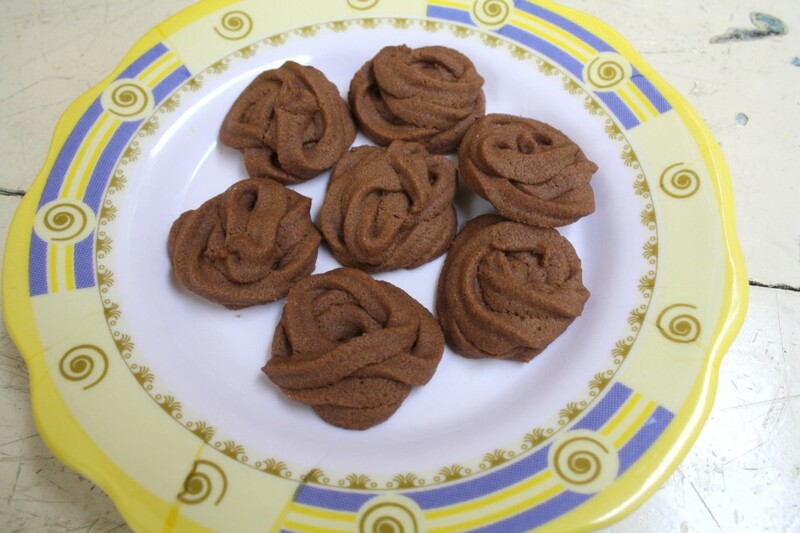 Some of those have always been Rangoli, Embroidery, and come to think about it, those pretty decorations that one might have to do on the cupcakes or cakes etc. I seriously can’t understand the efforts some of them take to decorate a cake. For all the efforts that go in, the end user hardly ever spends a moment to even look at the decoration properly. That said I am not saying it’s not worth it. But think about it. I attempt to make all such elaborate things and my kids hardly take a moment to wait before everything disappearing in thin air. 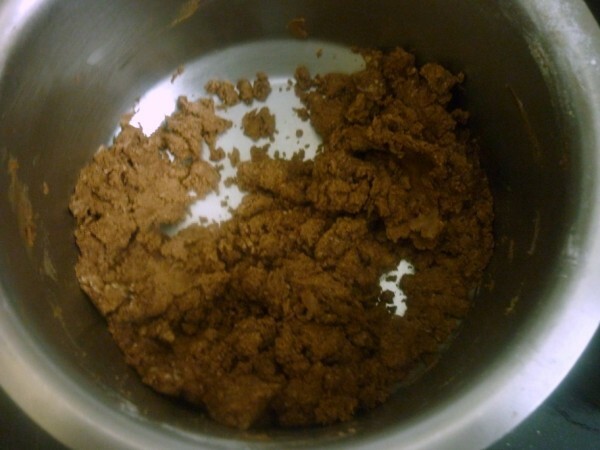 So when I decided that I was going to bake, I knew I had to do some chocolate cookies for sure. So I had this recipe in mind. After making the Coconut cookies, I had these ready. I had the flower nozzle out and couldn’t find the cloth bag to put in the mix. So had to have a plastic cover for making the shapes. Konda was so impressed, so were the boys. 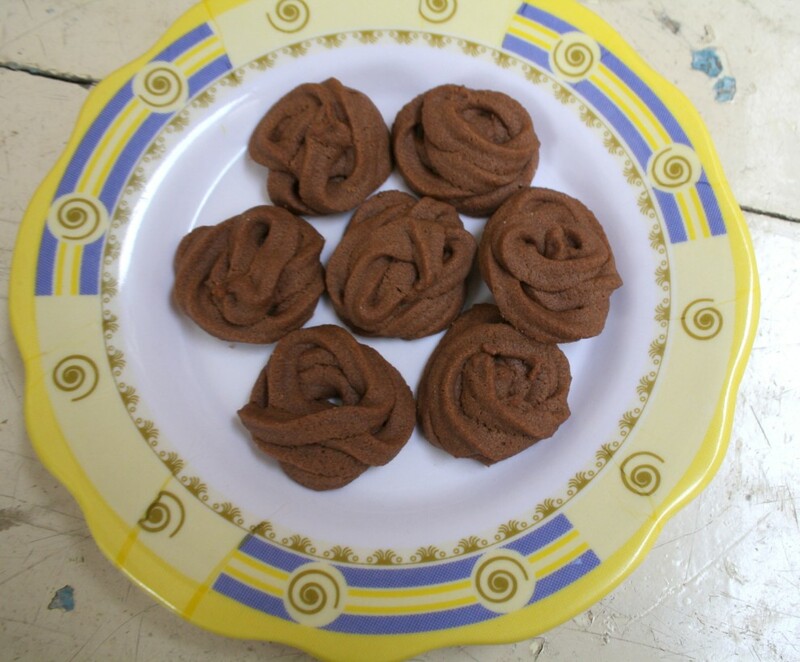 Infact there was a serious case of these piped chocolate cookies disappearing. So I requested them to keep some for the pictures. Looking at the design you might think it was something else right. Well there are supposed to be something else alright. Except they turned out like this. I was aiming at those flower design but it never struck me and I was struck with these. Of course the shape does not have anything to do with the taste. As I said most of them have disappeared, which should say for the addiction that my boys had towards this. 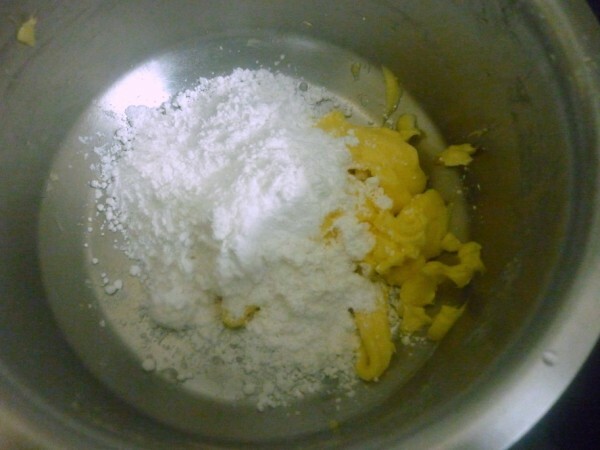 In a bowl, cream the butter and icing sugar well. 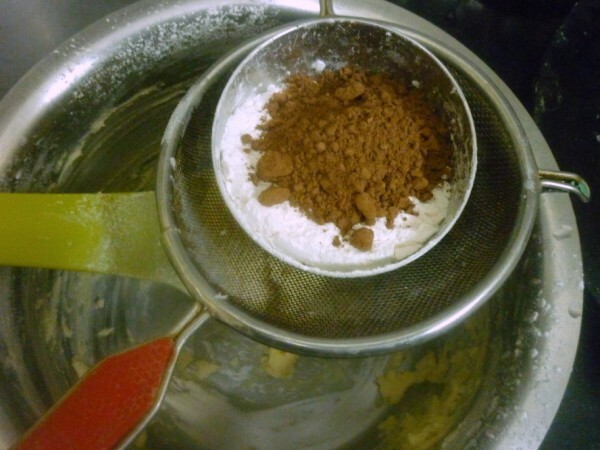 Shift the flour along with baking powder, cocoa, salt. 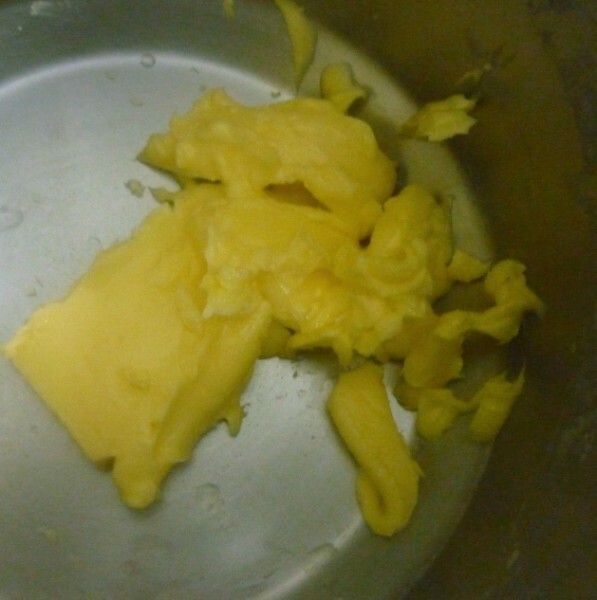 Slowly add to creamed butter and continue creaming. 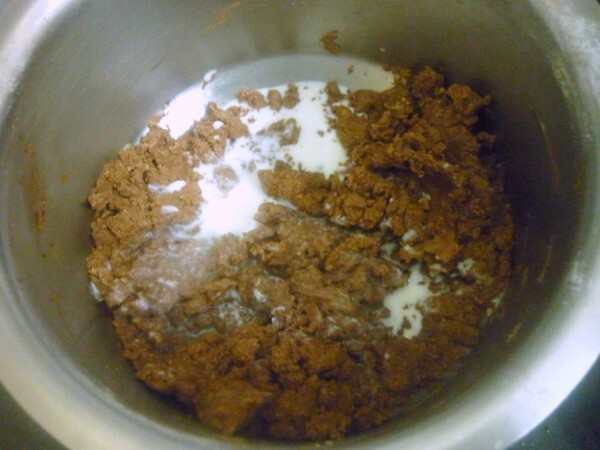 When all the flour is done, add milk and get the dough to a soft and little dropping consistency. For making the flowers, you can use either star or flower nozzle fitted to a bag. 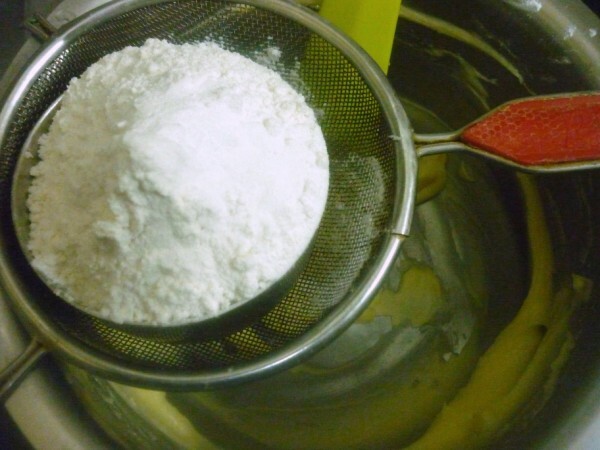 transfer the dough into the bag and pipe them on a greased baking tray. Pre heat the oven at 185 degC. 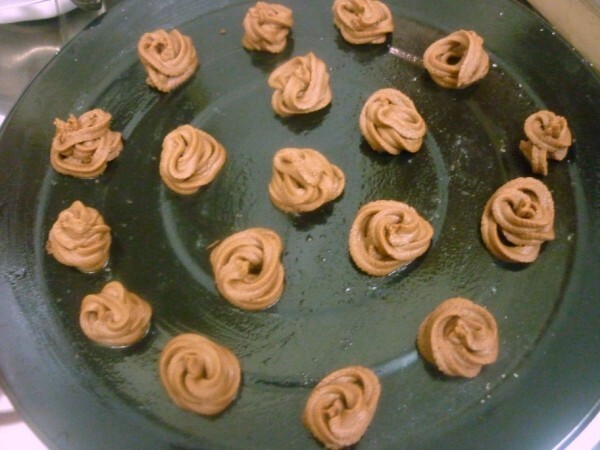 They look like rose.. Chocolate and shape will definitely attract the kids.. They still look pretty & cute to me. Very interesting cookie recipe. Thanks for sharing. Love it. Ditto with the above comments. 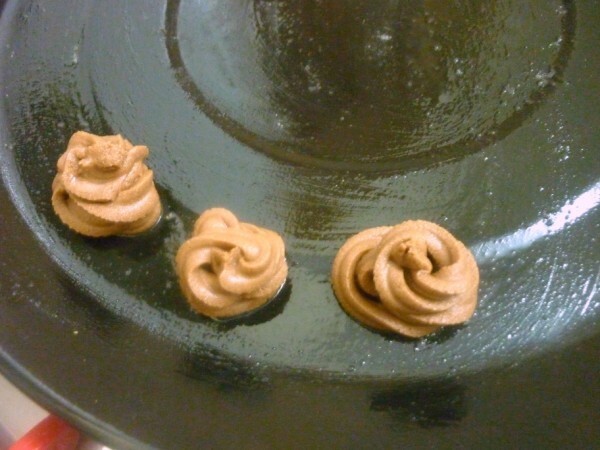 they look like roses.